While the child is at the centre of the Montessori education and the "main actor", the adult plays an essential role. He is the connection and catalyst between the child and the environment, the interpreter of her spirit, of her needs, the mentor and guide to present and show, a source of inspiration and while not intended as such, also a model that she will want to follow. It is a very challenging role that requires the adult to be very mindful of his own thoughts, of his image / perception by the child and his actions. The adult has full faith in the child's capabilities. He knows the powerful absorbent mind of the child (more powerful than his own) and is therefore very respectful of the child. He knows that children will teach him a lot too, most of all about himself. He does not see education as moulding the child in a preconceived model where he is 'teaching' her or transferring knowledge to her. Rather, the opportunity to orient her development and accompany her unfolding personality. For this, the adult needs to be very aware of who and how he is, to know his strengths and weaknesses, attitude and behaviour towards children and other adults. Ideally, the adult needs to be at peace with himself in order to be truly present with the child, without any preconceived judgement. This will help him see the true nature of the child, to perceive the inner expression of her soul, in order to guide her in the process, to communicate from one soul to another. This harmony and connectivity extends to the other adults too as kids catch every nuance. The adult is there to serve the child. He is therefore serene, enthusiastic, patient to see every child develop at her own pace, honouring individuality, and with empathy, unconditional love and faith in every situation. He is aware of leaving his ego and his expectations outside the classroom as he knows that they would be a barrier between him and the child. The adult is aware that children want to imitate the adults and so he is very conscious of the image that the child will perceive. He acts like a role model, in the way he moves, he talks, he is kind to others, etc. He slows down his movements, is gentle, graceful (displaying grace and courtesy), and with a soft voice. He pays special attention to words, gestures, reactions, etc. He is consistent in everything he does and is predictable (as kids long for order). He knows he is being watched and that he is a reference for the children's development. The adult's first job is to observe, to reflect on the status of the child, her stage of development, and what action or perhaps lack of taking action would be most beneficial for the child. The adult is very aware of his instinct to intervene and act so he tones this down as this 'action' might be counter productive. "Never help a child do what he can do on his own". 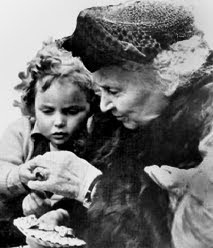 Note that it was through observation that Maria Montessori developed her learning and methodology. From that perspective, observation is not inactive but rather a very active verb. It is only after having observed and reflected that the adult can take the necessary action, if at all, that can best orient and guide the child. When engaging with a child, the teacher needs to give her 100% of his attention (presence, eye contact) as the child who receives that full attention and who feels the caring support of the adult will gain confidence and grow faster on her own. So no engagement with the child can be a monotonous repetition. Children are very capable to discern the attention and intention of the adult. Et pourtant cela faisait écho à ce que j'ai pû observer durant mes nombreuses années de travail avec les enfants. 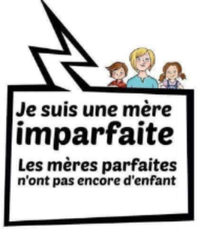 Trop souvent j’ai entendu que les élèves devaient rester en position bien droite et statique sur leur chaise et trop souvent j’ai vu ces enfants se tordre, gigoter et prendre des positions improbables sur leurs chaises alors qu’ils étaient pourtant parfaitement concentrés sur leur activité. 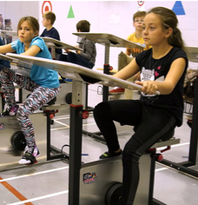 Une école primaire d'Ottawa a trouvé une solution originale pour maintenir l'attention des élèves.